I have tequila at home, right? But tangelos were on fire-sale again so I decided it was time to officially make this one margarita recipe number Twenty…. 22! And just in time for Cinco de Mayo. Tangelos are a cross between tangerines & pomelos, both of which have been immortalized in margarita form here already. Taste-wise, they’re far closer to tangerines so that’s the route I took. And guests have claimed some fabulously delicious dishes like queso and jalapeno poppers. So I’m headed off to do work. I have 100 limes to juice. And a floor to mop. And if I have time, like 3 walls to de-crayon. But if I hand out margaritas when guests walk through the door, I think I can get away with leaving The Little’s art work up, right? 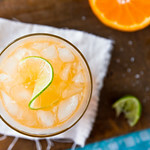 A beautiful orange margarita using fresh lime and tangelo juice. 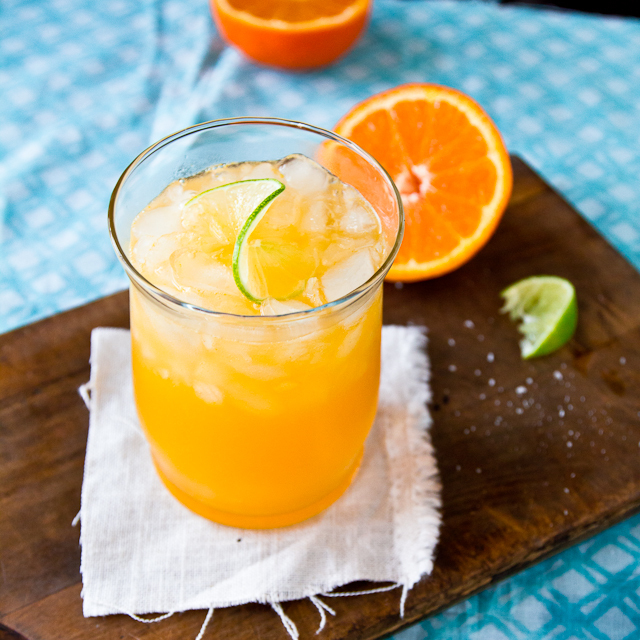 Stir margarita mix, tangerine juice, and tequila together in an oversized glass or small pitcher. Run a lime or tangerine wedge around the outside of 2 glasses and dip in salt. Fill glasses with ice and pour margaritas over. We really need to buy that house next door. I’d come over and help you clean, only if you promise to keep me in these for the afternoon! Your margaritas look so refreshing and delicious, and that menu you have planned sounds to die for. Happy Cinco de Mayo! These look so good, perfect for Sunday! I love that you used tangelo in them! Do you know how bad I want a margarita….”banging head to desk/wall”??? And OMG…your Taquitos & Tequilas party sounds awesome, I’d be over in a hot second!! Happy drinko de cinco!!!! What a great twist on a margarita!!! Love the tangelo!!! After a margarita or two, people will start to think The Little’s artwork is world class abstract art. So i say leave it up! I’m with Joanne on this – abstract/existential art = rocks. 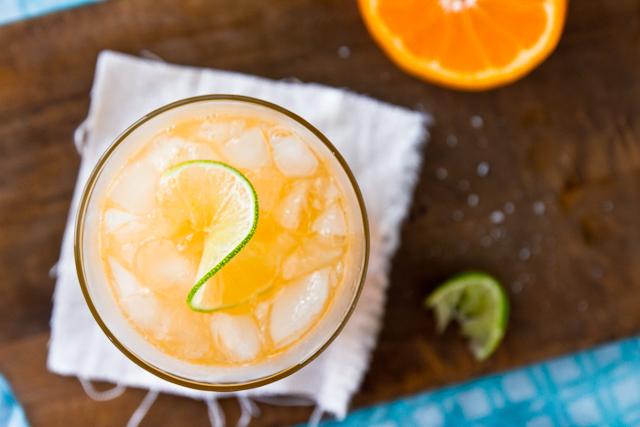 Tangelos are one of my favorite citrus, but they sound even better in a margarita!